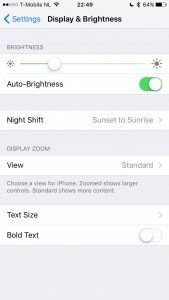 Starting with iOS 9.3, Apple has introduced “Night Shift”, a F.lux-like feature in the iOS devices (iPhone, iPad etc). I highly advise enabling it for your sleep hygiene. 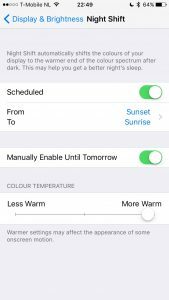 For non-iOS devices, see F.lux. Enjoy the softer evening light!